Keith Ferreira’s mellow, distinctive baritone voice adds lustre and warmth to this retro album featuring a wide variety of classic film and TV themes. 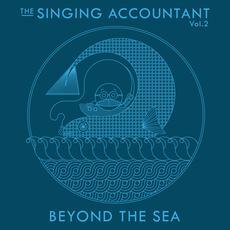 Beyond The Sea is a follow up to The Singing Accountant album and includes Disney singalongs Zip-a-Dee-Doo-Dah, The Bare Necessities and the strident TV themes The Love Boat and Avenues And Alleyways. Having performed at the Talk of London Drury Lane, on the Lenny Beige Show and the K Bar in London’s Piccadilly Circus as well as at The Edinburgh Fringe as part of a swing jazz harmony group with comedian Bill Bailey, as a soloist on BBC TV’s Songs of Praise and as part of a 70 piece choir at St Peter’s in Rome and The British Embassy Choir in Tokyo, Keith Ferreira’s experience and repertoire encompasses a wide range of styles - soundtracks, religious, jazz, easy listening and classical. Keith’s voice can often be heard on Tadlow Recordings and Silva Screen’s themed compilations -100 Greatest series, Film Yearbook Concept and Disney compilations.